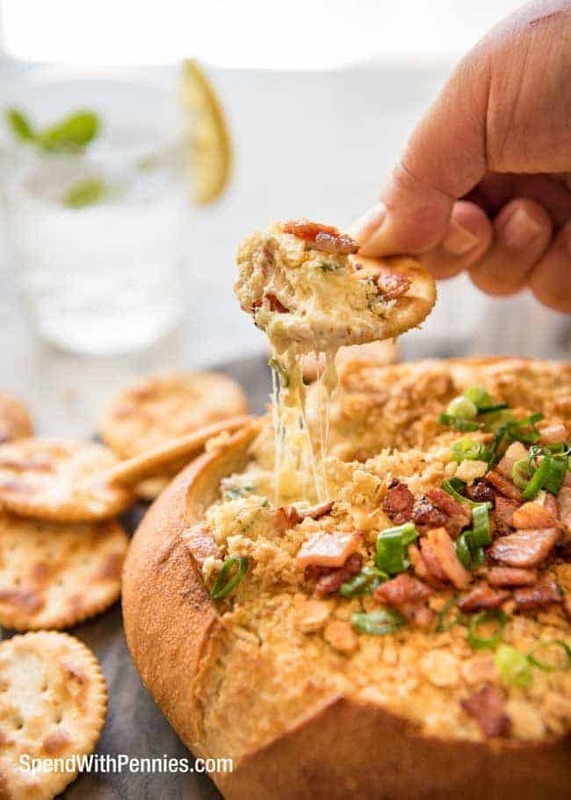 Crab Rangoon dip is one of our favorite appetizers and a party go to! 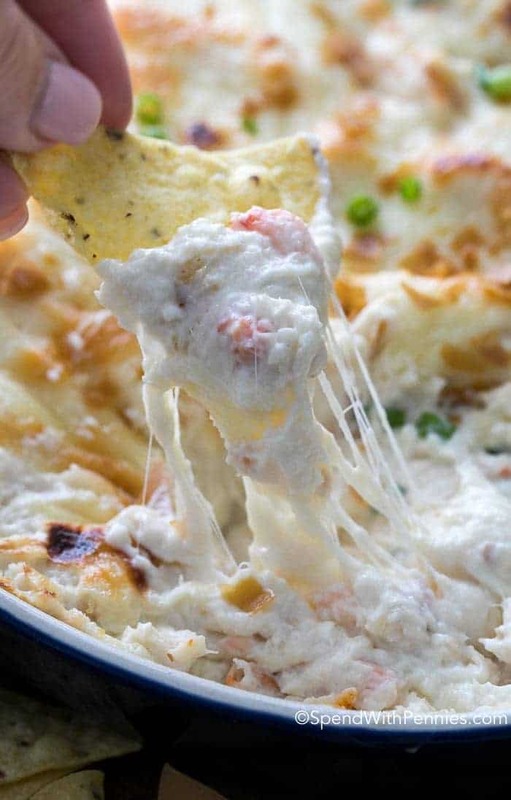 Hot, creamy, cheesy and loaded with crab this dip is perfect served with fried wonton chips, tortilla chips or crackers for dipping! I love appetizers and I can assure you if I’m invited to a party I’m going to show up hungry so I can nibble my way through the evening. When we go for dinner if Crab Rangoon is on the menu, I can pretty much guarantee it’s going to end up on my table too! 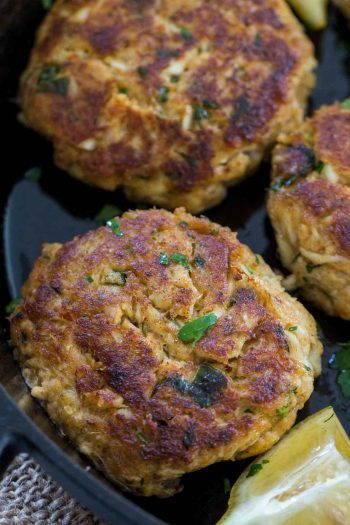 Crispy and delicious on the outside with a creamy cheesy crab filling… what’s not to love? 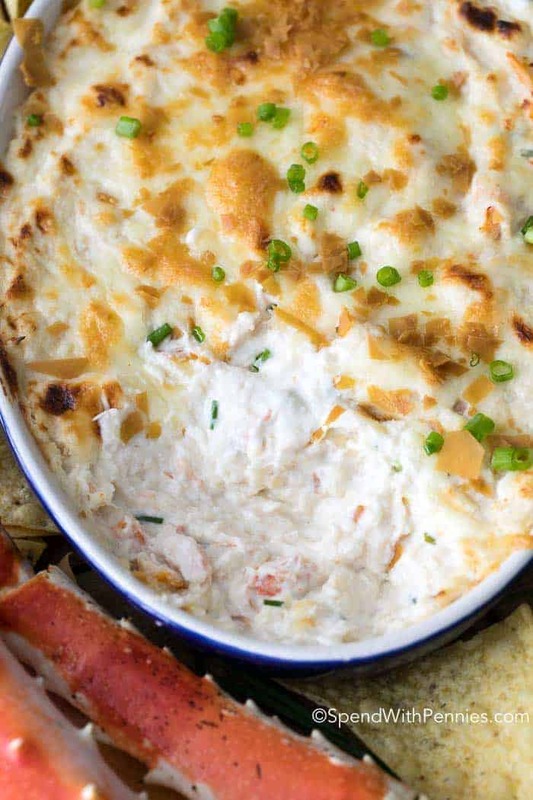 This hot crab dip takes all of those same delicious flavors found in your favorite restaurant appetizer and puts them into a totally scoopable, loveable dip! 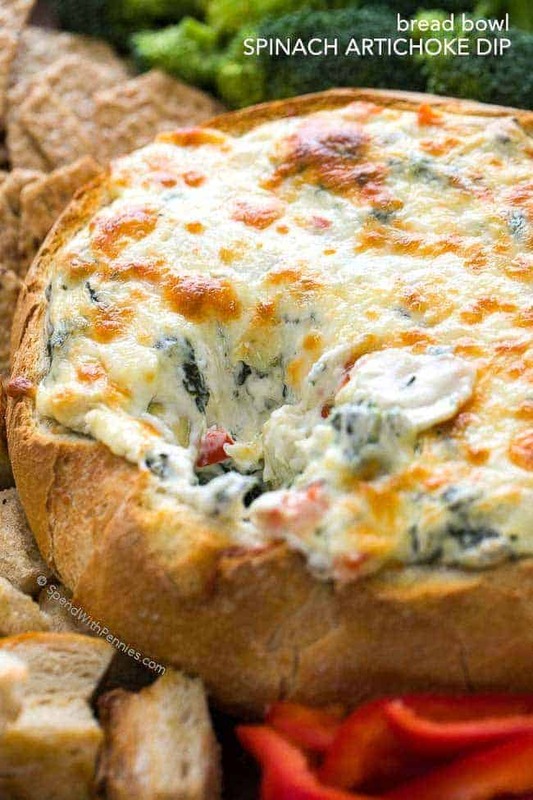 I make a lot of dips with a cream cheese base because … well.. cream cheese is delicious. 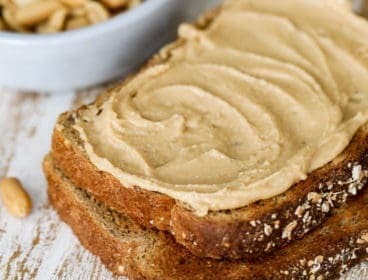 I recently learned a little secret for making my dips extra creamy and easy to scoop without breaking my chips and crackers! 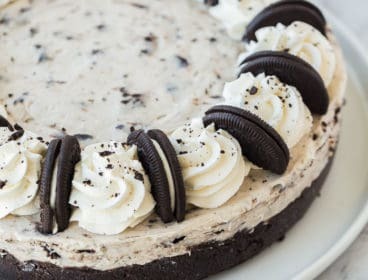 When starting any cream cheese dip, soften your cream cheese and then instead of stirring it all with a spoon, use a hand mixer. 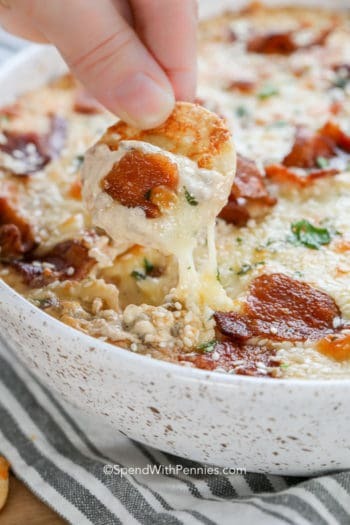 This makes the cream cheese light and fluffy an in turn the dip is so much softer and fluffier… and scoopier. 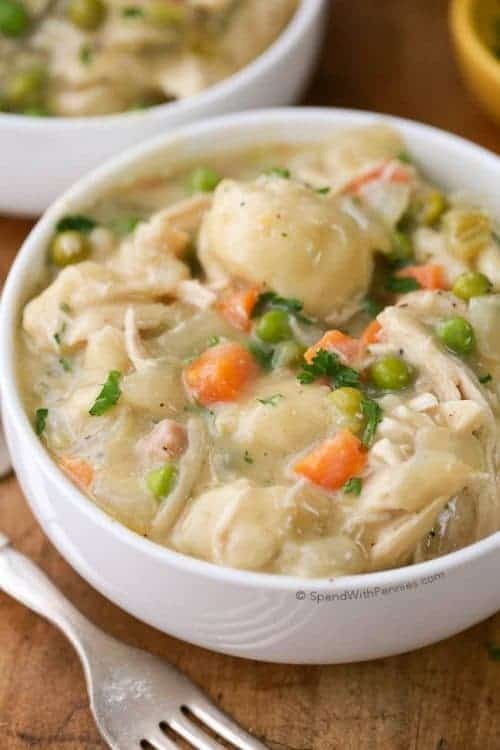 I used to serve this with baked or fried wonton chips which are yummy but I do find that using egg roll wrappers works better because they’re generally a bit thicker and don’t break as easily. 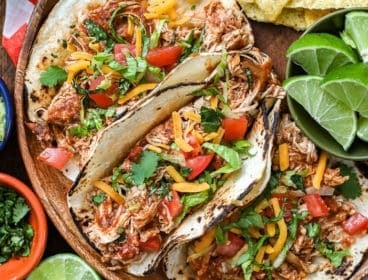 If you don’t want to go to the trouble of frying your own chips, tortilla chips are the perfect dippers for this recipe! 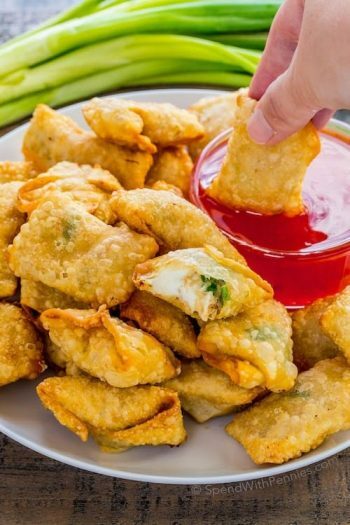 To get that authentic wonton flavor, we crunch up a few Wonton Strips and sprinkle them on top just before serving! 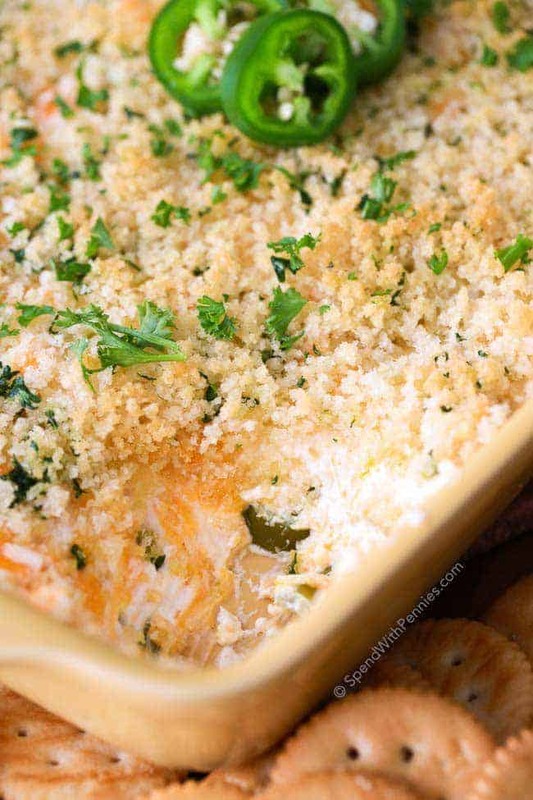 Jalapeno Popper Dip (Video) Rich cream cheese, spicy diced jalapenos and sharp cheddar are topped with crispy Panko bread crumbs and baked until warm and gooey. 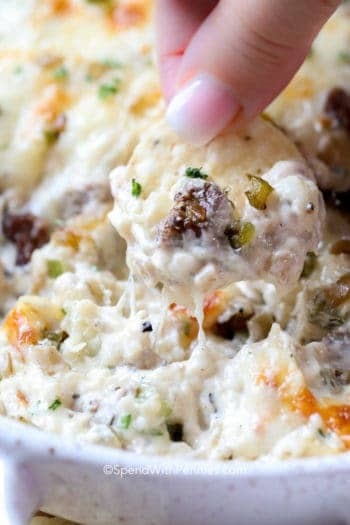 Hissy Fit Dip from Brown Eyed Baker Sausage, cream cheese, sour cream, two cheeses, chives and seasonings make this creamy dip totally absolutely irresistible! 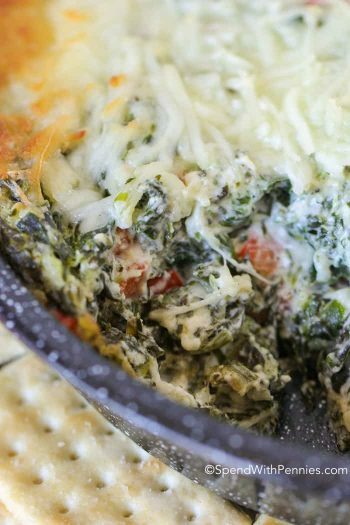 Mexican Corn Dip This hot Mexican corn dip is creamy, cheesy and loaded with corn and colorful veggies. 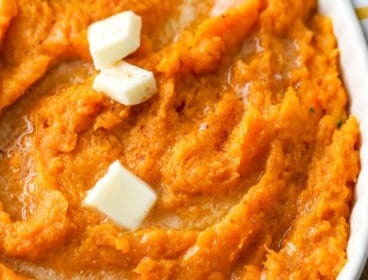 The perfect make-ahead dip for any party! 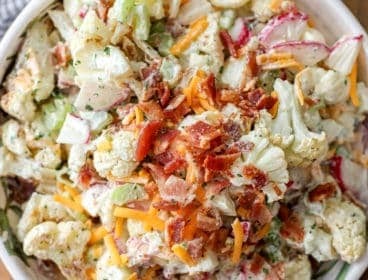 Creamy BLT Dip This easy BLT Dip features a creamy and cheesy base is topped with crisp smoky bacon, ripe juicy tomatoes, and fresh crisp lettuce for the perfect party dip! 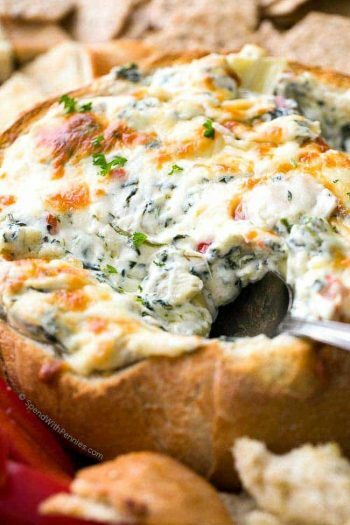 Hot Spinach and Artichoke Dip Hot Spinach and Artichoke Dip is nestled in a sour dough bread bowl and baked until warm and melty for the party appetizer. 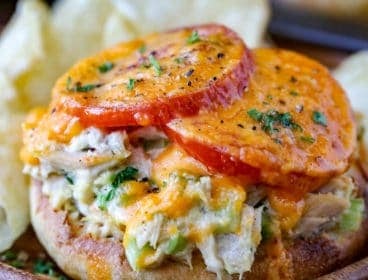 Slow Cooker Buffalo Chicken and Cheese Dip from Foodie Crush the best buffalo chicken flavors loaded with cheese and cooked until melty warm is the perfect party dipper! 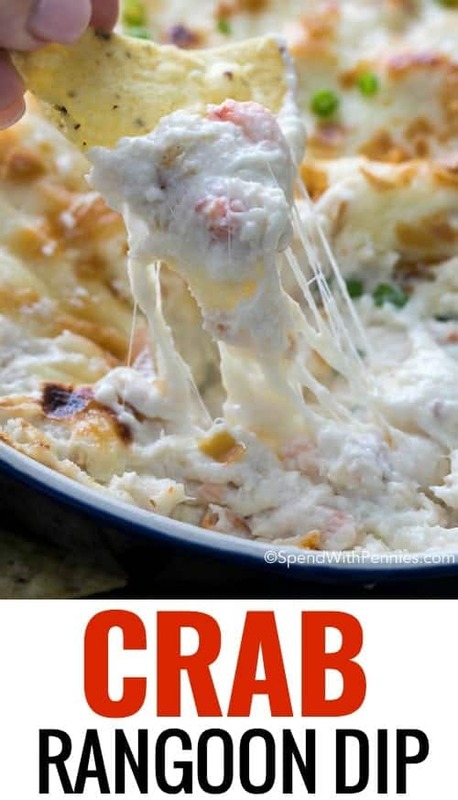 If you’re looking for a baked crab dip to please a crowd, I have to say this is definitely the best one I’ve ever had! Soft and creamy right out of the oven (although the leftovers are yummy served cold and spread on a cracker). 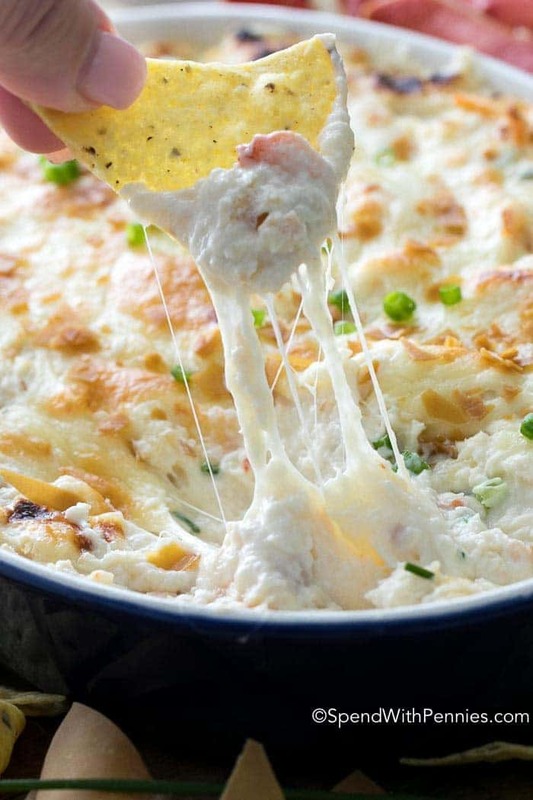 Crab Rangoon dip is one of our favorites and a party go to! 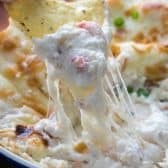 Hot, creamy, cheesy and loaded with crab this dip is perfect served with fried wonton chips, tortilla chips or crackers for dipping! Calories do not include chips or wonton strips.